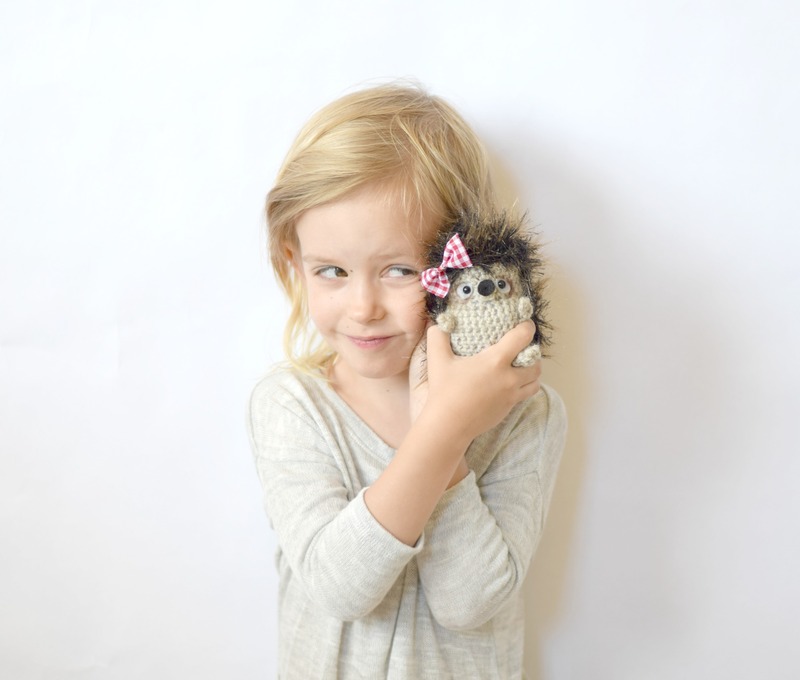 Introducing Mrs. Tiggy, the hedgehog! Last year I created a crocheted penguin and lately I’ve been wanting to try out another little animal. I normally stick to knit and crocheted things we can wear, but every now and then it’s fun to do something different (especially in the summer time). Anyway, shortly after I shared the pattern for the penguin, one of the specific yarns used to make the downy feathers was recalled. The feathers is what really “made” the bird so it was kind of a bummer that no one could buy the yarn any more! I decided I wanted to use the same body shape and pattern for something else this year. My daughter and I looked at the round, fat shape and narrowed it down to an owl or a hedgehog. We ultimately decided on the hedgehog, but she was still also set on an owl. The funny thing is though, she now LOVES this hedgehog. She told me, ” I didn’t think it would be cute, but it’s SO cute!” Thanks, I think…. If you’ve never tried amigurumi, this is a fairly simple one to start with. 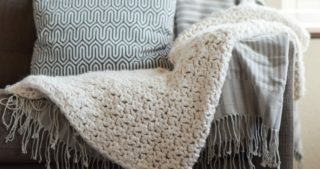 It uses single crochet, simple decreasing (crocheting two together), and increasing by making two single crochet stitches in a single stitch. 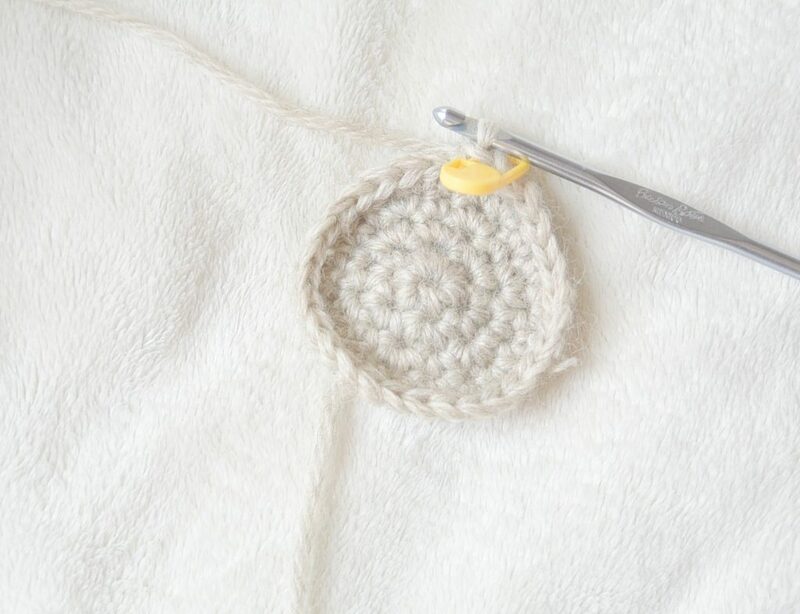 You should be comfortable crocheting in the round. I wanted to figure out the best way to do eyes, and found a couple of really neat tutorials from Stephanie on her blog, All About Ami. One of the tutorials shows you how to give more life to the eyes with a simple method which I did with this hedgehog (you can see her tutorial HERE). You can also find her awesome amigurumi beginner tutorial HERE which is super helpful if you’ve never done this before. She’s got so many adorable patterns if you love the idea of amigurumi! 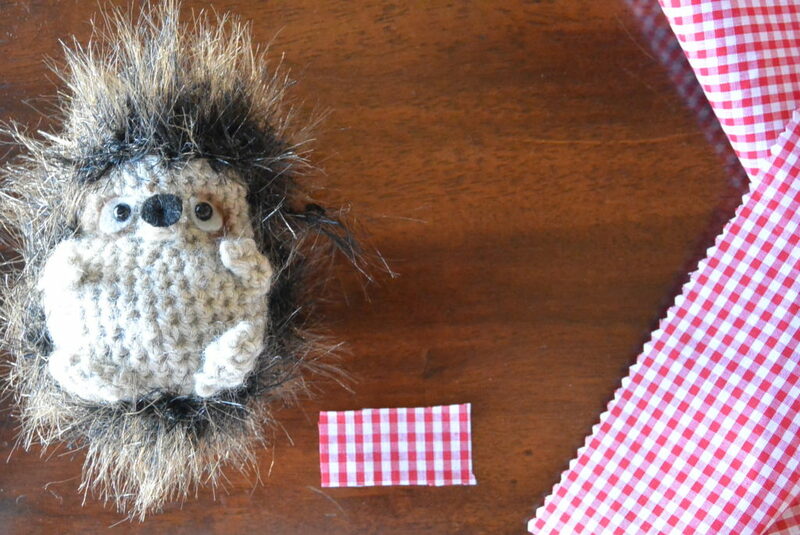 What I find fun about doing this hedgehog and probably other small amigurumi projects is that you can finish them quickly. I made this little gal in one day. The head and body portion are worked in one piece from the top – down. Round 1: Make 6 sc in second chain from hook. Place a stitch marker at beginning of round, and move each round to keep track of your rounds. Round 6-12 Sc in each stitch around. At any point now, you can attach the eyes and nose. (See instructions for each below) You can also begin to fill the head with the stuffing. He’s pretty ugly at this point, but he will get cuter as you go! Round 16-21 Sc in each stitch around. Round 24 Sc in each stitch around – make sure he is stuffed as much as possible now! Hold your hedgehog so you are looking at her/his profile. Count three stitches straight out from the eye. You can place a stitch marker here if needed. Now from that point, go straight down the body to the bottom of the hedgehog. You will begin here to attach the fun fur. This is a sketch from when I was trying to come up with the face and design of the hedgehog. You can get an idea of what I mean about crocheting the fur on the back half of the body. See the little sketch of the body, and where the fur goes? Just work up, and down, single crocheting almost in a rainbow pattern until you fill the entire back with fur. 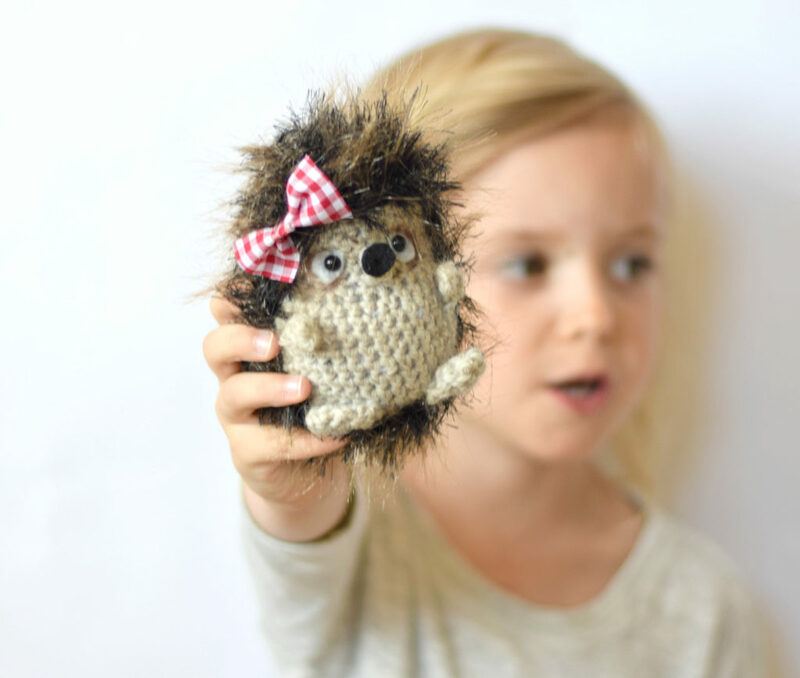 Attach the fun fur with your Size F hook, and single crochet along the surface of the body making a “line” across the mid-point and around (sort of like a rainbow) the hedgehog. Work back and forth, up each side, then down the other side, until you cover the entire back of the hedgehog with fun fur single crochet stitches. 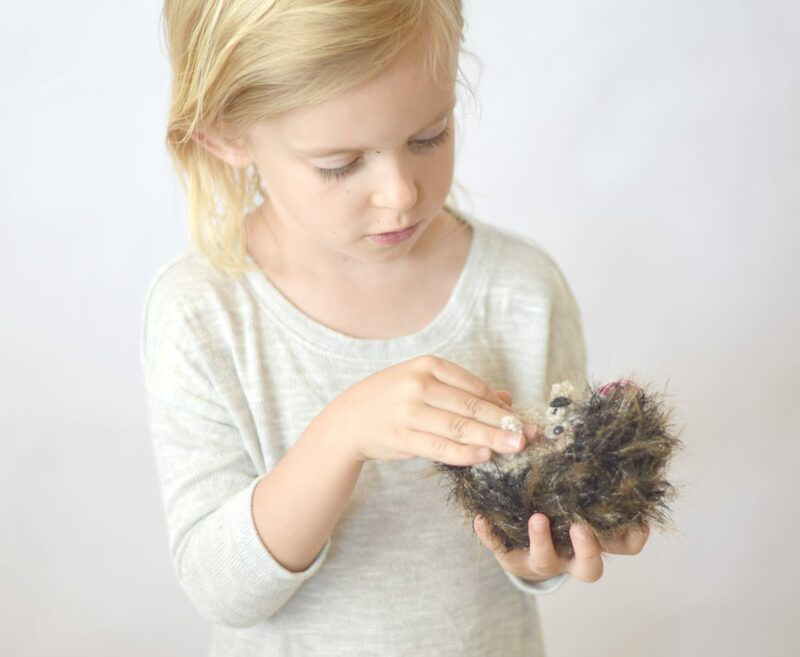 Using your fingers “fluff” the fur. Add some extra fur on the forehead, bringing the fur portion down closer to the eyes. The fur is very forgiving! Tie off and weave in, or just cut your ends. You can’t find them in all that fur. I cut the fur a bit around the face so that it wasn’t in the hedgehog’s eyes. He he! With grey felt, cut two small rain drop shapes approximately 1/2″ long. Make a small slit near the pointy end where you will put your safety eyes through with washer. Place eyes 5 stitches apart, in center front of hedgehog. They should be 3 stitches up from the increase portion, or the bottom of the head/face. I also put a small amount of brown eye shadow around the outer and under portion of the eyes. It just seemed to give it a bit more character and dimension. Optional: I followed Stephanie’s method at All About Ami and tied my safety eyes to a length of yarn and tied it to the back of the head firmly. When stuffed, this creates a more realistic eye by indenting them a bit into the head. Tie off, fold in half. 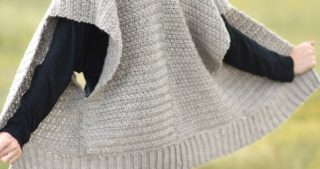 Seam closed with tapestry needle. Make two of these feet. Attach to bottom of hedgehog. Rd 1 Make 3 sc in 2nd chain from hook, slip st to join, tie off, attach with tapestry needle to bottom center of hedgehog’s face. Cut out an oval from your black felt, 1/2″ inch wide. Attach with needle and thread to end of nose. Tie off. Fold in half and seam with tapestry needle. Attach to body, 2 stitches in from the fur, and 5 stitches down from bottom of the eye. Cut a length of fabric 2″ long and 1″ wide. Pinch together and use hot glue, or needle and thread to secure. 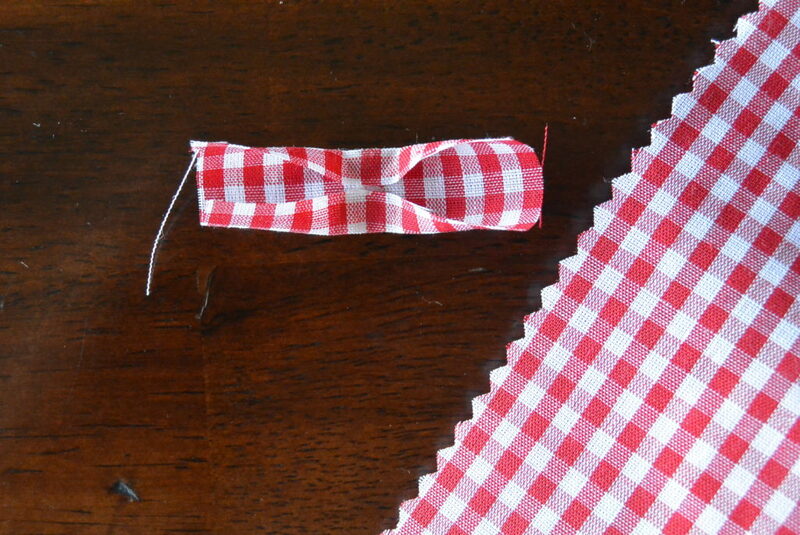 Wrap a second thin cut of fabric around the middle of the bow. Secure. 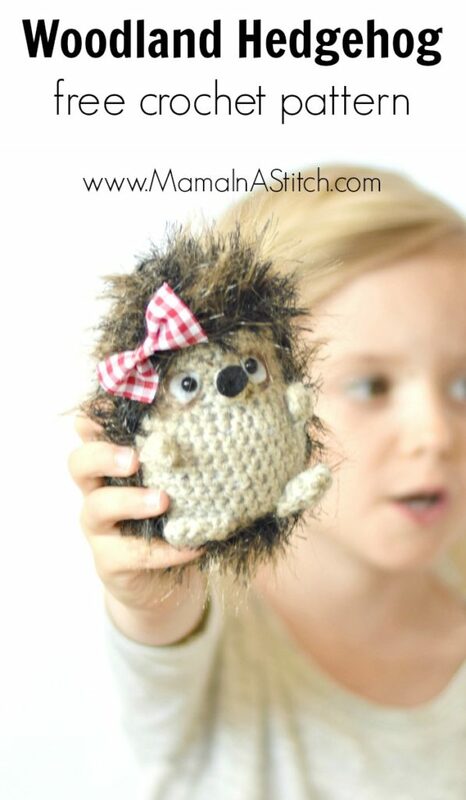 Attach with needle and thread to the hedgehog’s head. You don’t have to place a bow on this hedgehog. Actually, it would be cute to make two. One with a bow, and one without. A boy and a girl! The bow was very simple. I simply hot glued the fabric as pictured. Then folded it together one more time, glued, and wrapped it with a final piece of fabric in the center. If you make this hedgehog, I’d love to see it on my Facebook page or Instagram. Tag me @mamainastitch! Also, if you’ve got any ideas of names for this little gal below, please let me know! Hasn’t your daughter named her little friend? If you really want a name, how about Wanda? That was the Scout camp I went to as a girl (Now subsumed by Great Adventure safari park in Jackson NJ…)The little cutie would be right at home there! She hasn’t named her actually! Wanda is so cute. Oh my goodness, so many good suggestions!That is so neat that you got to go to camp. I have great memories of girl scout camp with my little friends from long ago. Thanks for the suggestion of Wanda – I think it’s precious. What about calling it Prickles? It is gorgeous! I love that! How creative! Thanks so much! Someone also just emailed me saying “Henrietta the Hedgehog”. Both very cute! Henrietta is what I thought of. But I won’t be naming her if I make it, my 4 year old great granddaughter will be. Kathy! You actually inspired me a bit to do this! I don’t do these very often, but seeing yours made me think about it again. Thanks for your kind words as always! How about Miss Tiggy? She reminds me of Beatrix Potter’s Mrs. Tiggy-winlke. I had to google this because I had never heard of this story. You are right, this looks just like Mrs. Tiggy – Winkle. Now I’m curious to read the story – it looks so cute! Miss Tiggy would be super cute. Thank you! We just rescued a hedgie after it being a dream of mine for 30+ years to have one. Her name when we got her was Miss Tiggy-Winkle but my girls decided to add in a first name… so she’s officially named Miss Bernadette Tiggy-Winkle. This ami is soooo cute, even I want one for myself! I’m in love! I would call her Heddie! Heddie the Hedgehog! Thank you for the pattern. I have some fun fur in my stash and now I know what to do with it! 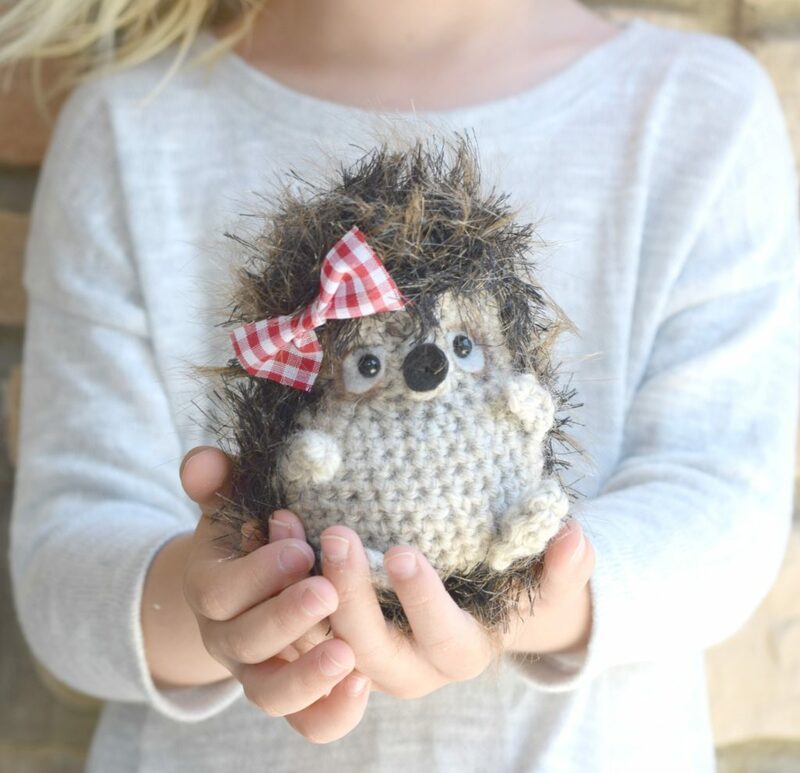 Heddie- so lovely for this little hedgehog! I’m glad this gave you something to do with your fun fur Sharon! Thanks for taking the time to let me know. After I found my yarn and hook, because I HAD to get started, she immediately told me that her name is Wilhemina. He brother is William, (never Bill). Thankfully, I have young grandkids to make a set for! That’s wonderful Kris! I’d love to see your finished Wilhemina and William! Too much fun! OMG!!! Jessica!! How cute is this? I love anything Hedgehog. I call them Hedgies. Just darling. I wish I crocheted because this little gal is precious. I hadn’t heard the “hedgies” nickname before. I like it! Thanks for stopping in! Unlike you, I was a little late to join the whole hedgehog train thing, but I’m all over it now! I’m so glad you think it’s cute because I love your work. Thanks so much for the kind words, friend. The name Heather came to mind. Whatever name you choose, she’s ADORABLE! Thamks for sharing her with us. Not sure you are aware but hedgehogs are the mascot of bobbin lace makers. This lace technique dates to the1400s. You might research bobbin lace. Am on vacation and shortly will head for the IOLI convention of lacers. Of course I want to start her right now. Of course I didn’t bring my F hook. Thinking I will need to seek out a craft store. Think she will be Indie cuz the convention is in Indianapolis. She is so adorable! I had never seen a real, live hedgehog until my husband and I were in Germany, while he was working there. Like your daughter, I fell in love, immediately! I love the idea of Tiggy, but also had a thought Heliotrope for a name. Why cant they just share the hedge? I recently saw this on a t-shirt and it just made me smile. 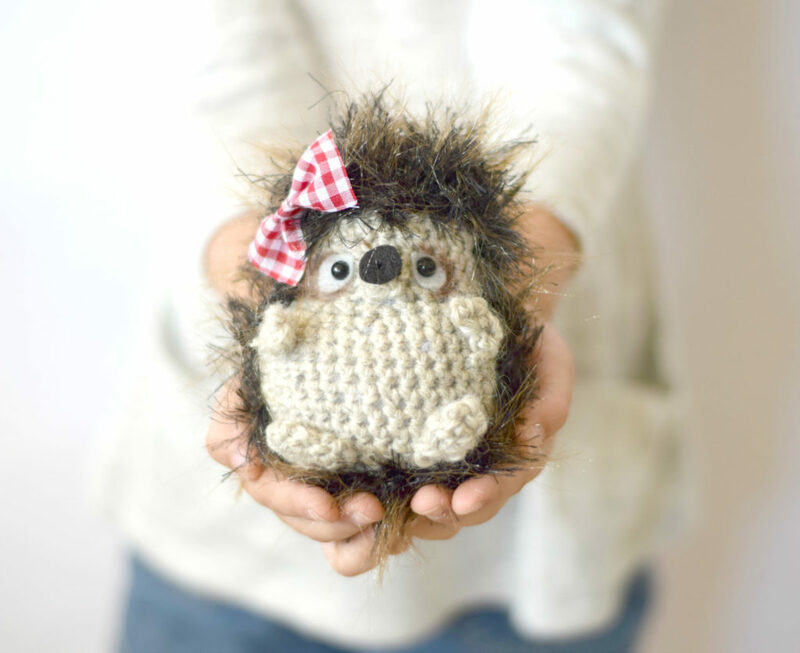 Love hodgepigs too – hedgehos, of course! I thought of Hattie The Hedgehog. Very cute. Must find out if they do fun fur in the UK. Thank you for your lovely newsy newsletters and great projects. Very cute! I suggest you have two- Henrietta and Henry! I think she looks like Helen Hedgehog…. I would call her Hattie! Simply adorable! How about Henrietta the Hedgehog. She is so cute. How about Heddy the Hedgehog. It is adorable. I like Henrietta the Hedgehog or Haddie or Heddie the Hedgehog. I would let your daughter name it really. She is adorable. Thanks Tracy – I think those are all cute names too. Yes, my daughter finally picked a name so I will post soon! Is there anyway I could get this adorable hedgehog pattern in a PDF Format???? It’s difficult to copy the above. I have to take screen pictures of it and then send it to my email address so I can print it off of the email and it ends up looking horrible… Full of ads, etc. I’m working on getting PDFs for my site. Unfortunately right now, the best that people can do is copy and paste the parts that they want into a Microsoft Word document to avoid the pictures and ads. I know it’s not ideal, but I hope this may help until I get the downloads ready! I read through the pattern and I’m not understanding some bits. 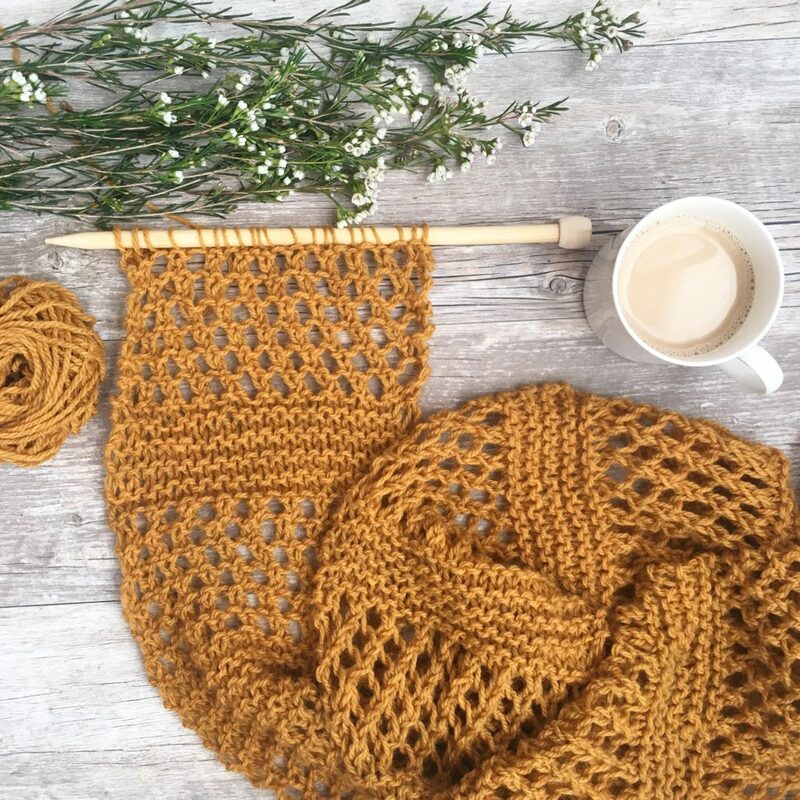 What colour do you start crocheting the body with as it doesn’t say in the beginning? Am I using black yarn the whole way round? When do I change back to the beige? I don’t see a row of black stitches going across him anywhere… and there isn’t any black yarn listed in the materials required list. What part of the hedgehog is black? I’m so sorry Alicia! I missed an edit in the pattern, as this was the same pattern that I made for the penguin (where you change to black). There is no changing to black with the hedgehog! Sometimes my editing patterns late at night leaves for an error now and then. There is definitely no black in the hedgehog and I’ve corrected it. Thank you for pointing that out to me! Ugh! I’m confused! 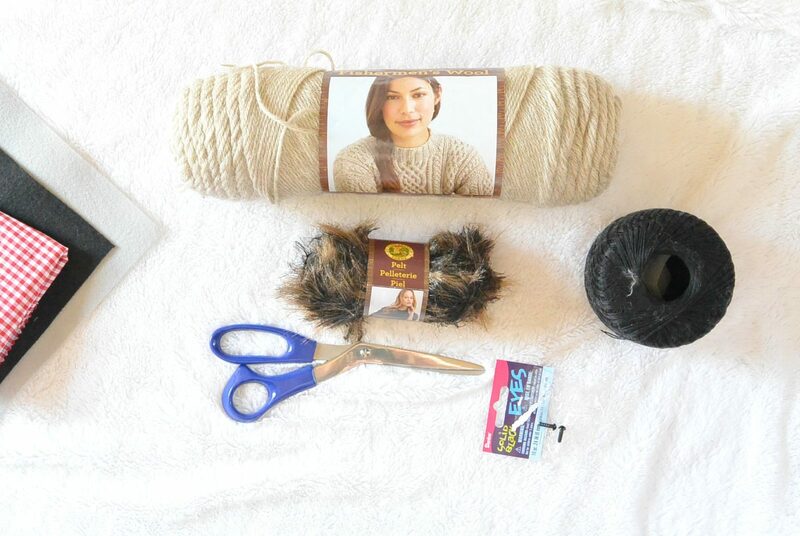 The directions at Round 14 say to change to black, but I don’t see that happening in the photos, and black yarn isn’t included in the list of things you need. ??? This was an error on my part! There’s no black in the hedgehog! I missed saving an edit I made to the pattern from when I used the same pattern to make the black and white penguin. Follow the same pattern, without the black. Thanks for bringing it to my attention and I’m so sorry for the inconvenience! Note to self to triple check my patterns when I’m finishing them at 1 AM. Got it! Thanks a million! Can’t wait to make a pair of these critters! They’re just so cute!! She looks like a Hatti the Hedgehog to me. Love her. She’s adorable. I recently subscribed to your site and love it. I must be missing something however because I can’t figure out how to print your patterns. Other than the unwieldly “copy & paste” function I cannot find a link to print easily at all. I really love the hedgehog pattern and would like to print it without all the extra “stuff”. Can you tell me what I’m missing. Hi LouAnne, Unfortunately I don’t have a print button on my page. For now the best solution, while not the easiest is to copy and paste into Word and print. I’m working on getting PDFs made for Fall most likely. Thanks for following the blog and for writing to me. I really like that you attached the “fun” fur onto regular stitches. 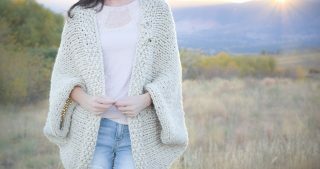 I’ve seen so many patterns where they want you to just crochet with the fur and it is so impossible! I think this is a great solution that is less aggravating and would get me to make more things with that stuff. lol! Yes! It is pretty hard to crochet and see any stitches with the fun fur. 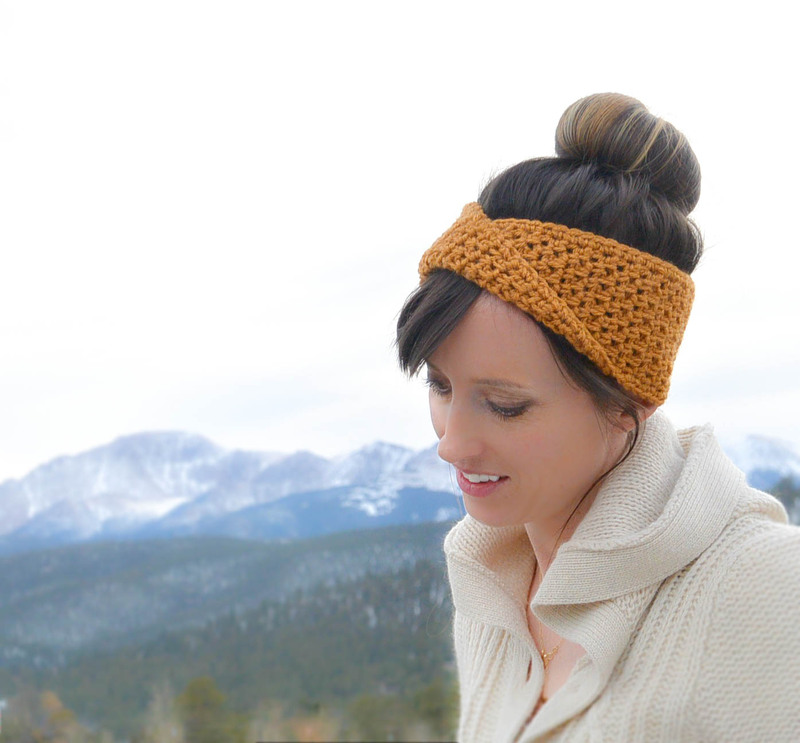 So much easier to simply surface crochet. Glad it will help you too! I think this beautiful little creature should be called “LACY” and I also agree, your daughter is beautiful too!!! That is such an adorable name – Lacy! My daughter did decide on the name Mrs. Tiggy, but we will have to save Lacy for a future creature. 😉 Thanks for the kind words! What color is the lion brand fun fur? Super cute idea! I LOVE Spain! I studied Spanish in Barcelona after college. It’s just lovely. I think the name “Twinkle” is precious! 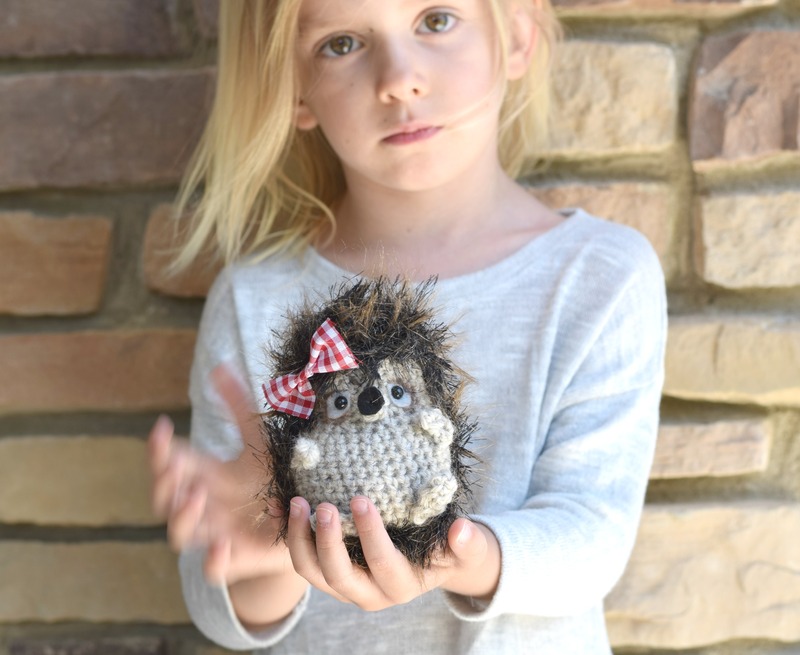 HOW ABOUT HATTIE THE HEDGEHOG,,,,BTW LOVE HER AND YOUR DAUGHTER IS SOOOO ADORABLE….LOVE YOUR CREATIONS..
Love the name Hattie! Thanks for the sweet words Deanna! Hi. 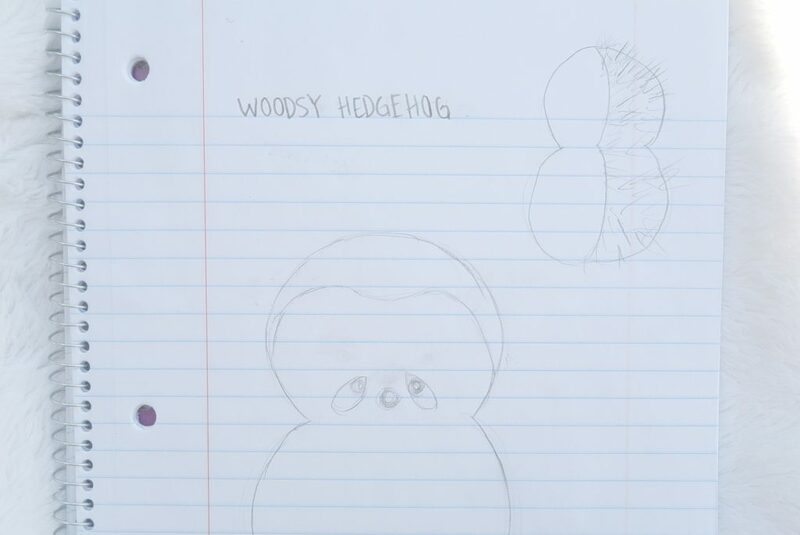 I am trying to make the Hedgehog. I have got to the point of attaching the safety eyes and wanted to go to the site that you mentioned; Stephanie’s method at All About Ami. I could not find anything about attaching the eyes with a length of yarn. Am I missing something? I love the name, Mrs. Twiggy! You will see how she attaches the yarn with a diagram. You might have to copy and paste it into your browser. Hope this helps! Thanks, it was perfect! I haven’t picked up a crochet hook in years, but when my daughter saw this pattern, she wanted one. You write the instructions well and I understand them even after many years. Do you have a buffalo design? Thank you again for the website. It was a great refresher course. Oh this makes me so happy – the fact that you understand it well. And the fact that your daughter liked it is wonderful! I don’t have a buffalo design but that would be adorable. My college mascot was a buffalo – it’s something to think about! Thanks for letting me copy your pattern; I placed it on my pc with WORD. I have had problems doing that with other offers; they want to sell me all kinds of Norton programs and I don’t need them! So, I was thankful to be able to simply copy it. I will make one for one of my great grand children for Christmas. I have a small bean bag which I made and wanted to make something cute like that. Thanks, so much. 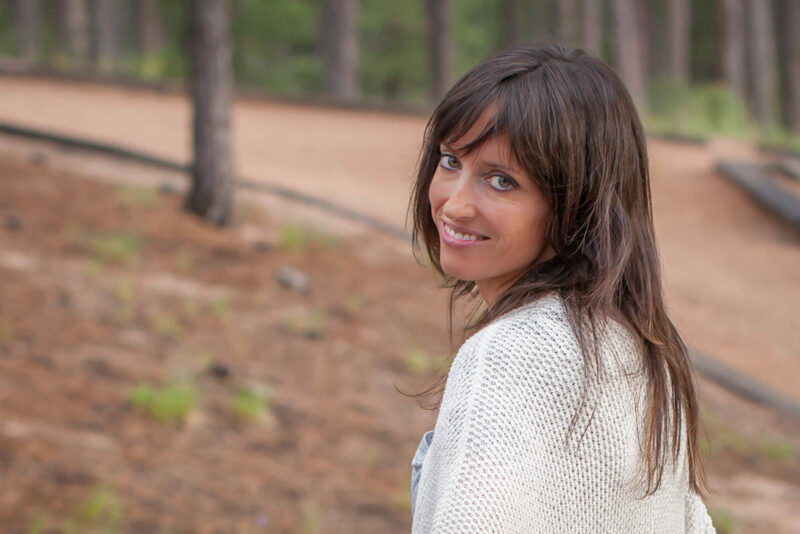 I will promote you on Facebook! You’re welcome. Thanks for the kind words! That is too cute for words! I pinned it to my popular Amigurumi board on Pinterest. Thank you for sharing! Right after I saw this pattern I found fun fur yarn at the dollar store. I can’t wait to try it out.